Thanks! Sure you can make me a siggy. that's a GREAT siggy, Val! yep, and Val did one for me....which I LOVE LOVE LOVE!! Thanks girls! Glad you like it Claudia! And your new avatar is darling too! awwww they had so much fun!!! Living in Miami I should have had a beach day already, huh? LOL! There aren't too many doggie friendly beaches, but I think there's one that we can take them to. Thanks! Thankfully one of the closest beaches to us has a dog friendly area. It's not actually on the beach side, just along the inlet, but it's still nice and it's a good walk. I'd love to have a beach where you can take the dogs off leash though! We're thinking of bringing them to an island in Mosquito lagoon and letting them run around it. Maybe someday. Elara's first time at the dog park. She was so clean when we first got there. Could a mod please most this thread to the scrapbook section? I changed the title since I've posted so many photos. lol. Well some really smart business person opened up a dog washing shop right next door to the dog park! So I just rinsed Elara off with the hose at the park since she's so small and threw her in the crate in the car and ran Siku over to the dog wash place and bathed her. I washed Elara when I got home. Love all the new photos, they look fantastic! What dog park is it that they get so muddy at? I want to make sure I avoid that one at all costs if I am in the Orlando area. Elara's growing too fast! Make her stop!!! It's Paw Park in Sanford. It normally doesn't have mud there, but someone left a kiddie pool there and water slashes out of it and makes mud. I know she's growing so fast! She's still a little cutie though! such a very lovely puppy! Agility funday! Went to an agility fundraiser this weekend. Elara got to play with other puppies and do some puppy races! It was funny. I guess I had the best treats, cause all the puppies ran to me! Siku was being a little brat, but did pretty good on the third and last run. 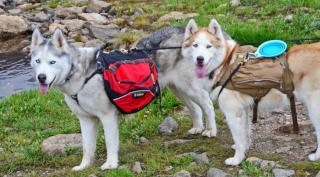 aww great pics, Siku looks like she's loving agility and omg how big has elara gotten! 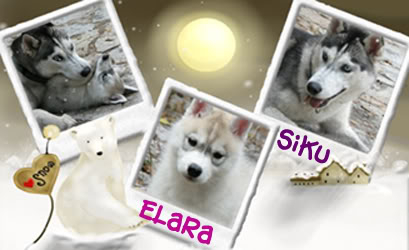 Lovely pics of Siku! She looks like a champ out there on the course! OMG Elara is HUGE! 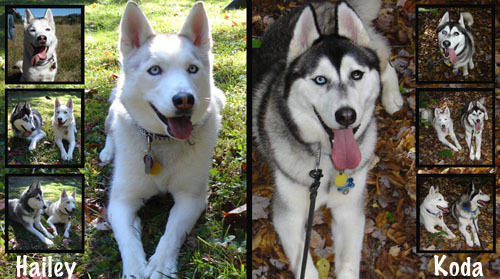 Amazing how different she and Siku look. Elara looks like she either as a much bigger build or she is much fluffier...or both! I think it's a little of both. She is very fluffy and very stocky. Went to the vet today and she's already 22.8lbs! Oh, forgot to mention, Siku is a year old this month! She had a fun time opening her presents! Awesome pics!!! I too can't believe how big Elara is!! Siku, is gorgeous, as usual! Happy Birthday SIKU!!! !